Textbooks should not be used as "ideological battleground" between the Left and the Right and should only be children-centric, Delhi Deputy Chief Minister Manish Sisodia has conveyed to HRD Minister Prakash Javadekar today. Sisodia, who is also Delhi's Education Minister, made the observations at a crucial meeting of the National Council of Education Research and Training (NCERT), chaired by Javadekar. New Delhi: Textbooks should not be used as "ideological battleground" between the Left and the Right and should only be children-centric, Delhi Deputy Chief Minister Manish Sisodia has conveyed to HRD Minister Prakash Javadekar today. Sisodia, who is also Delhi's Education Minister, made the observations at a crucial meeting of the National Council of Education Research and Training (NCERT), chaired by Javadekar. Content review of textbooks, implementation of learning outcomes, adequate supply of textbooks and recruitment of non-academic staff were among the items on agenda of the 54th General Council meeting of NCERT. The meeting was attended by several state education ministers and officials. "Successive governments have used education as an ideological battlefield, that is used to force certain narratives on children. Education must not be a platform for any political point-scoring," Sisodia said. "Textbooks must not be used as an ideological battleground between the Left and the Right. They must be designed to suit the needs of the children," he added. The comments by Sisodia come against the backdrop of concerns raised by various quarters about quality of content in NCERT textbooks. 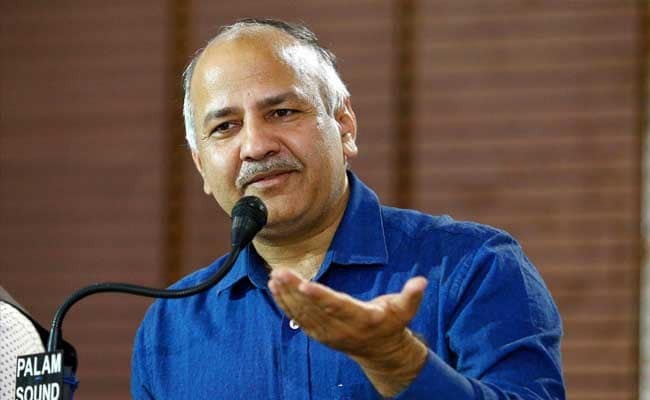 Maintaining that NCERT textbooks are "confusing, incompetent and text-overloaded", Sisodia also presented an analysis of the certain books by the council which has been prepared by a team of Delhi government school teachers. NCERT had last month invited suggestions and feedback from states and union territories regarding any factual errors in textbooks and required changes in content/concept presentation. The deadline for the same is June 30 following which the council will decided on incorporation of changes. Officials from the Uttar Pradesh education department expressed the state's interest in making NCERT textbooks mandatory. According to NCERT officials, various states raised the issue of limited availability of NCERT textbooks and the trigger for giving a platform to private publishers. The HRD Ministry will next month be conducting a review meeting with NCERT officials to address the issue of availability of textbooks.